Faculty in Neuromuscular Medicine conduct both basic and clinical research. Dr. Spencer is currently a Professor of Neurology and a co-director for the Center for Duchenne Muscular Dystrophy at UCLA, which is a translational center that supports both basic and clinical research. In her role as co-director and as Director of the Neuromuscular Division in the Department of Neurology, she leads several efforts pertaining to growth of the center including the Pediatric Neuromuscular Clinic, the organization of the annual retreat, working group meetings and pilot and feasibility program. She has been conducting translational muscle research for over 25 years and has been the PI on both basic and clinical studies, including a P30 Core Center. She was awarded a PECASE in 2001 and has continued to serve in leadership and advisory roles for federal and private agencies in the muscular dystrophy arena and on the UCLA campus. The research program in the Spencer Lab focuses on understanding normal skeletal muscle biology and on how alterations or defects in normal processes (via genetic mutations) lead to muscle disease. The lab seeks to gain mechanistic insights on skeletal muscle signaling that leads to functional adaptation, stem cell biology, inflammation in normal and disease settings and understanding the pathogenic progression of muscular dystrophies. By gaining insight into normal muscle processes, this knowledge can subsequently be applied towards therapeutic interventions. A key area of interest in the lab is the genetically inherited muscular dystrophies, primarily limb girdle muscular dystrophy and Duchenne. Significant work has been done on LGMD type 2A, due to CAPN3 mutations and this work has led to the key finding that CAPN3 and CAMKII signaling are integral to skeletal muscle remodeling. The lab also focuses on characterizing inflammatory processes that participate in DMD pathophysiology and on developing gene therapeutics for Duchenne muscular dystrophy. In particular, the lab is working with Drs. April Pyle and Huan Meng on development of a CRISPR/Cas9 based gene editing platform and nanoparticle mediated delivery systems. Dr. Graves’s research interests include “Bayesian diagnosis of ALS” and clinical trials in ALS and other neuromuscular disease. UCLA is a member of the Western ALS Research Group (WALS), Northeast ALS research group (NEALS), and Pacific 10 ALS Research Group. Dr Graves serves on the Medical Advisory Board for the GBS/CIDP Foundation International, which has designated UCLA as a ”Center of Excellence” in inflammatory neuropathies. Dr. Nasheed Jamal received her bachelor’s degree from the Massachusetts Institute of Technology and her medical degree from Georgetown University School of Medicine. She is a board certified Neuromuscular specialist. She is currently a Health Sciences Assistant Clinical Professor in the UCLA Department of Neurology. Aside from her clinical work, she supervises UCLA medical students, residents and fellows as the attending physician at the WLA VA and the Sepulveda VA, in both the outpatient and inpatient settings. She has conducted basic research using fMRI to investigate the neural basis of reading and arithmetic in fluent bilingual individuals. She is also involved in clinical research. A long standing collaboration with Dr. Shri Mishra has focused on identification of rare genetic neuromuscular diseases, myotonic dystrophy, and myasthenia gravis. Dr. Mishra graduated from the University of Toronto, Faculty of Medicine in 1971. Dr. Mishra is an attending physician at Olive View-UCLA Medical Center, UCLA Medical Center and at USC Keck School of Medicine. Dr. Mishra is a board certified neuromuscular specialist. He also practices complementary/alternative medicine. His research and clinical interests span many areas including the biochemical basis for muscular dystrophies, the history of neurology and neuroscience, ambulatory care, quality management, cost benefit analysis, decision analysis and use of alternative approaches to treatment. 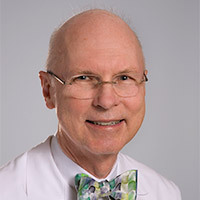 Stanley F. Nelson, M.D. is Professor and Vice Chair of Human Genetics and Professor of Psychiatry within the David Geffen School of Medicine at UCLA where he has been on faculty since 1993. Prof. Nelson attended the University of Michigan and obtained a BS degree in Physics in 1982. He graduated from Duke University School of Medicine in 1987 and completed an ITT International Fellowship to Sweden in the Laboratory of George Klein. He was trained in Pediatrics and Pediatric Hematology-Oncology at UCSF School of Medicine, and subsequently trained as a postdoctoral fellow with Patrick Brown from 1990-1993 where he developed genomic mismatch scanning and initiated the lab development of DNA microarrays for genomic applications. At UCLA, Prof. Nelson has continued to be interested in technology development and application of genomics to cancer biology and common human diseases with active research areas in Autism, ADHD, vertigo and brain cancers. He developed and continues to direct the UCLA DNA Microarray Facility which provides access to whole genome expression array analysis for faculty on campus and for the NIH Neuroscience Blueprint. His current interest is in the development and application of technologies for whole genome sequencing and cancer genome sequencing. Dr. Shieh earned his MD and PhD degrees from the Johns Hopkins University of Medicine before completing his Neurology Residency Training at Stanford and his Clinical Neurophysiology Fellowship training at Partners in Boston. He joined the faculty in 2003. 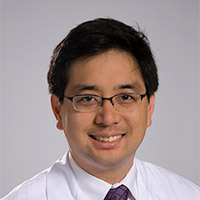 Dr. Shu specializes in the diagnosis and care of patients with general neuromuscular diseases or rare nerve disorders. 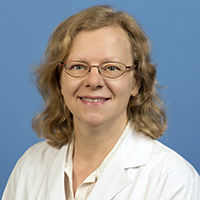 Her research interests include: pathogenesis, presentation, and prevention of immune-mediated peripheral nerve disorders, treatment of neuromuscular conditions and clinical trials for peripheral nerve diseases. Dr. Shu earned her B.S. degree from California Institute of Technology, and MD degree from Chicago Medical School. She completed her Neurology Residency Training at UT Southwestern Medical Center and Neuromuscular Medicine Fellowship Training at UCLA Medical Center. She joined the UCLA faculty in 2016. Payam Soltanzadeh, M.D. is a Clinical Professor of Neurology who received his M.D. degree from Tehran University of Medical Sciences where his thesis focused on hereditary inclusion body myopathy (GNE myopathy). As a Postdoctoral Fellow at the Institute of Myology, Pitié-Salpêtrière Hospital he carried out research on the molecular characterization of congenital myasthenic syndromes due to MuSK mutations. Subsequently, Dr. Soltanzadeh did post-doctoral research with Dr. Kevin Flanigan at the University of Utah, where he participated in the United Dystrophinopathy Project, studying Genotype-phenotype correlations in Duchenne and Becker muscular dystrophy. Dr. Soltanzadeh did his residency at the University of Maryland School of Medicine and his fellowship at the University of Utah, under the mentorship of Dr Mark Bromberg. Dr. Soltanzadeh is board certified in Neurology and Neurophysiology and he treats both adult and pediatric patients with neuromuscular disorders. His research interests include Duchenne muscular dystrophy, limb girdle muscular dystrophies, myotonic dystrophies and GNE myopathy. The research of Dr. Wiedau focuses on disease mechanisms and therapeutic development for ALS. The ALS clinic cares for patients in the comprehensive multi-specialty clinic, provides consultation services and the opportunity to participate in clinical research and therapeutic trials. Dr. Wiedau received her medical degree from the Philipps University in Marburg, Germany. 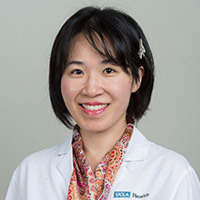 She completed neurology residency and fellowship training in neuromuscular disease and neurogenetics at UCLA where she was appointed to the faculty in 2003. She is diplomate of the American Academy of Neurology, a member of the North-East ALS consortium and the Western ALS group. Dr. Crosbie-Watson is a Professor in the Department of Integrative Biology & Physiology and holds a joint appointment in the Department of Neurology within the David Geffen School of Medicine at UCLA. She is Vice-Chair of Graduate Education and Chair of the Master’s Program in Integrative Biology & Physiology. Dr. Crosbie-Watson is Director of a NIH T32 Muscle Cell Biology, Pathogenesis, and Therapeutics training program for PhD graduate students and postdoctoral fellows. She is also Education Director within the Center for Duchenne Muscular Dystrophy at UCLA. Dr. Crosbie-Watson is a National Academies Education Scholar. Her leadership and innovation were recognized with the UCLA Chancellor’s Distinguished Teaching Award. She is a member of the Molecular Biology Institute, Brain Research Institute, Center for Duchenne Muscular Dystrophy, and the Jonsson Comprehensive Cancer Center. She has received the Coalition Duchenne Lotus Award for Research and Education and she was selected as the College of Letters and Science Dean’s Marshal. Dr. Crosbie-Watson received her B.S. in Biochemistry at Texas A&M University with Departmental Honors for Excellence in Research. She was selected as the Distinguished Biochemistry Undergraduate. She earned a PhD in Biochemistry from UCLA in the laboratory of Professor Emil Reisler, PhD in which she investigated the structural determinants of actin function. She was one of a few graduate students who received departmental awards for both research and teaching accomplishments. Dr. Crosbie-Watson was supported by the Robert G. Sampson Neuromuscular Disease Postdoctoral Fellowship from the Muscular Dystrophy Association during her postdoctoral training with Professor and Chair Kevin P. Campbell, PhD HHMI Investigator at the University of Iowa Carver College of Medicine. She received the Excellence in Postdoctoral Research Award at the University of Iowa. Dr. Crosbie-Watson has served as a regular member of NIH Skeletal Muscle Emphasis Panel Study Section, the MDA Research Advisory Panel, and is a member of the Strykagen Scientific Advisory Board. Her research program is funded by R01 grants from NIH NIAMS and NHLBI as well as research grants from the MDA. Carmen Bertoni, PhD, focuses on the development of new methods to treat muscle disorders. Her laboratory studies methods to effectively target and correct genetic defects responsible for those diseases with an emphasis on developing treatment for Duchenne muscular Dystrophy (DMD), the most severe of the muscle diseases affecting children. The goal of the laboratory is to bring new technologies from the bench to the bedside and to ensure that the treatment leads to restoration of therapeutically relevant amounts of protein missing as the result of the genetic defect. Research in the laboratory is funded by grants from the National Institute of Health (NIH), the Department of Defense (DoD), the Muscular Dystrophy Association (MDA) and the Parent Project muscular dystrophy (US).